Margaret R. Landwermeyer, MD enjoys all aspects of being an OB/GYN physician at Hill Country OB/GYN in Austin and Dripping Springs, Texas. She’s dedicated to helping her patients achieve their best lives, both medically and aesthetically, through her expertise in women’s health. Although Dr. Landwermeyer received her burnt orange doctoral diploma from the University of Texas, her true loyalties lie with the Texas Tech Red Raiders. 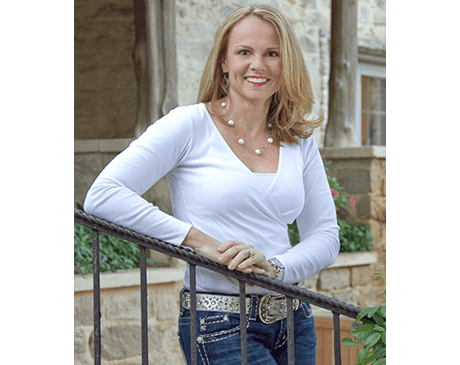 She graduated from Texas Tech University with a Bachelor of Arts degree in Chemistry and then went on to Houston to receive her medical degree at the University of Texas in 1993. Dr. Landwermeyer completed her residency at the University of Texas Medical Branch at Galveston. In 2000, Dr. Landwermeyer became certified with the American Board of Obstetrics and Gynecology. With a keen interest in minimally invasive surgery, Dr. Landwermeyer strives to offer the highest quality of care to her patients. She’s certified in innovative technologies and procedures, like the da Vinci® Surgical System and BioTE® hormonal therapy, and diligently works with her patients to identify the best solution for their specific situation and needs. Although Dr. Landwermeyer grew up in Houston, she has been a proud Austin resident for the past twenty years. When she’s not working or on call, Dr. Landwermeyer enjoys spending time with her husband and three sons.